It was a nice night walk along the street in Shanghai when the weather temperature cools my body off and not breaking any sweat at all. It was an easy walk with lots of space on the pathway along the roadside. Beautiful night scenery with an abundance of nightlife lingering around every corners of the streets. If you are walking along the street having a good chat with friends like I did, it will become a memorable and fun walk for a first timer like me. 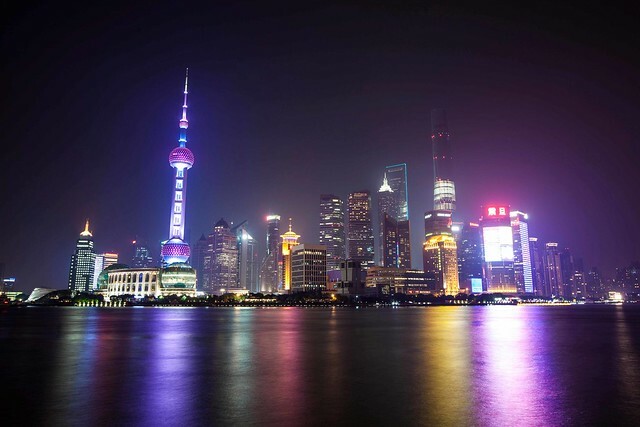 It was so kind of them to show me the way and walk with me to The Bund in Shanghai which is famous for its gorgeous night view with its Oriental Pearl TV Tower standing prominently giving the audience a full view of its colorful lights glittering in the night. Even though when the time is almost midnight, there was still quite a huge crowd along The Bund catching the night view. It was not easy but eventually I found a spot where I can rest my tripod and got my long exposure night shot. It was indeed one of a kind experience to be standing in awe of the beautiful night view at The Bund in Shanghai. While in Guangzhou and after doing some last minute research on nearest choices of spots that I can capture images. I got up early in the morning and took a walk. 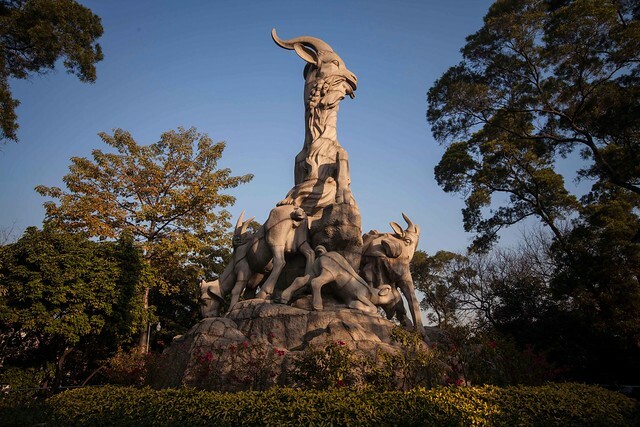 It took me about 30 minutes with lots of steps and slopes to get to the statue in Yuexiu park, I can feel my legs are working out! It was definitely a great work out for me in the morning. Finally, I got myself standing in front of the five rams statue and it was a great timing as the morning sun shone it warmth onto the statue giving it a good contrast. It was 8:30am and fortunately, there wasn’t too many people around that could deter me from setting up my tripod as my tripod could be an obstruction and causes inconvenience. Jumping at the chance of the empty area around the statue, I set my tripod on the ground and with my BIG Stopper, I started taking 20 seconds long exposure shots and quickly adjusting my settings for the exposure and color tone before the sunlight disappear. With minimal adjustments done in photoshop, this image below is my memoir that I took home with me from Guangzhou, China. 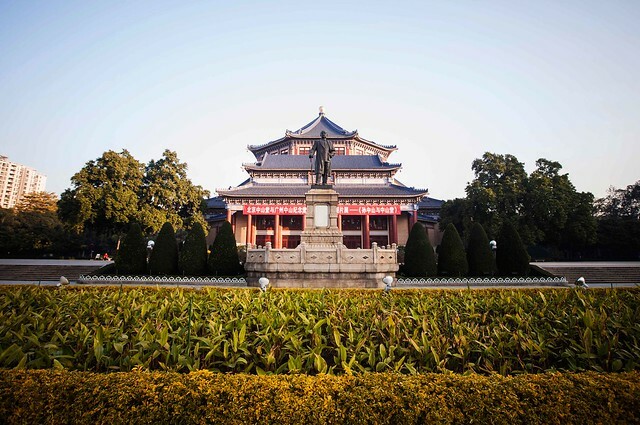 The first thing that I noticed when I was doing some research on Guangzhou is Dr. Sun Yat-sen Memorial Hall. I was already getting really excited and I was already anticipating how I should capture an image. The feeling of knowing that there’s a Dr. Sun Yat-sen Memorial Hall just felt closer when I was in Guangzhou. This time, in Guangzhou, I have already decided to use my BIG Stopper to capture a long exposure image of the memorial hall as I anticipated that there will be visitors walking past and with the BIG Stopper, I can just blur them out with long exposure. What I have never expected is that I found myself there in the early morning of 7am! As absurd as it is, there were already quite a crowd of people there, not for visiting but for their daily morning exercise routine. I find elderly who were strolling there while taking in the fresh air in the area. As I was prepared myself, I picked out my BIG Stopper and started taking long exposure shots of the memorial hall. The image below is my favorite and I have cropped it a little to emphasize the shot more of the memorial hall instead of the surroundings especially the sky. This was taken with 16-35mm on my 5D II with BIG Stopper. 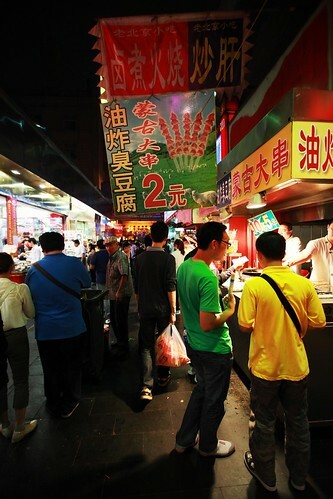 A walk down the snack street in the heart of Wang Fu Jing was truly a very good experience indeed, with various stalls mostly selling food. 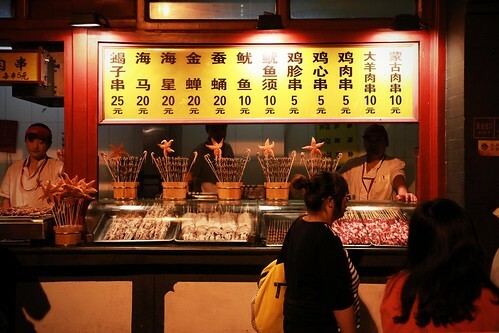 The common snacks you can see right after you enter the street from the main pathway of Wang Fu Jing are the scorpions and starfishes. The most interesting part is that the scorpions are very much alive while they were skewered onto wooden sticks, very interesting treat indeed if you ask me. 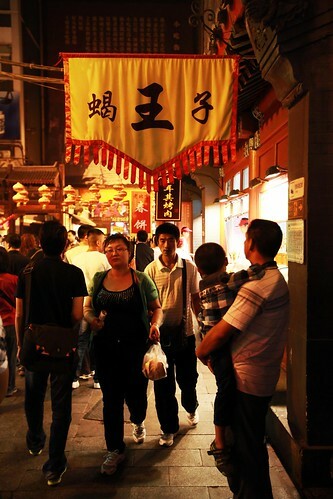 This buzzling street can be very crowded as patrons indulge themselves in the delicacies the snack street has to offer. I managed to capture some shots while trying to fumble my way around the street and figuring which way is the exit. The street is fairly narrow and my 16-35mm f2.8L did come into very great use, especially with the aperture of f2.8! Most of the pictures I’m showing below were taken at f2.8 with an ISO of 2000. The images were also enhanced with contrast and vignetting with photoshop. Be sure to visit this nice street and try out some of the delicacies they have when you are there! You are also able to find restaurants and eateries tucked nicely in one of the street that you can rest your feet and have your meal. It must have been a little more than a year since I last visited Beijing and one of the wonders in the world, the Great Wall of China. But this time, I have visited a different section of the Great Wall which is the (居庸關)Ju Yong Guan. While making my way there, vivid memories of the Ba Da Ling flashed by me, reminding me of how fun it was to have visited that section the last time I was there. Great photography opportunities were plentiful there at the Ba Da Ling and I was so eager to have a share of another nice and unforgettable memories there at Ju Yong Guan! Indeed, climbing the Great Wall of China is always never easy. It was not easy but I pushed myself on to reach the end of the section. I paced myself and I took small breaks while also giving myself excuses to have some pictures captured during my short rests. My strategy for this climb is to travel as light as possible, with only 5D II and 16-35mm f2.8L in my small sling bag, I was on my way to the end of the Ju Yong Guan section. In my own opinion, Ju Yong Guan is not as magnificent as Ba Da Ling because referring to my last post of Ba Da Ling, it gave me a great view of the long stretch of the wall whereas Ju Yong Guan is more likely a straight up and back down, period. Anyhow, my recommendation shall go to Ba Da Ling where you can have a great time there if you have never been to anyone before. 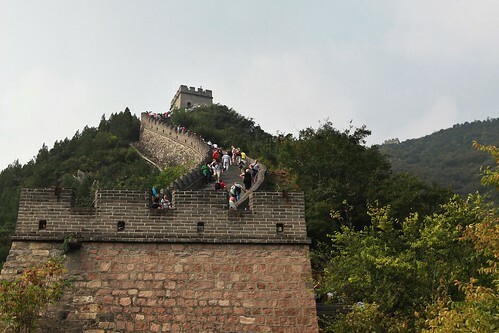 When I was planning my Beijing trip, the biggest woe I faced was the great wall of China. I was stuck in tough choices between various visiting sections along the great wall, one of the wonders! 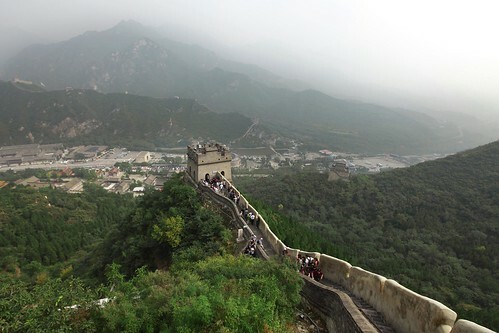 I was told that Badaling is the main visiting centre for the great wall of China whereas other visiting points are not as crowded and has the least restoration works done. I want to have great photography opportunity but it would take me a lot of time and money for me to get to other visiting points which have lesser tourists and I believe great photography opportunities. Few of the many of them are Simatai and Juyongguan but not as safe as Badaling. After some careful considerations, I stick to Badaling as it is the nearest section to Beijing city. The bus trip from Beijing bus terminal to Badaling was not an easy one as it looks. I have to take bus 919 from bus terminal in Beijing to Badaling but apparently, there are various bus 919 going on different routes! Not all bus 919 goes to Badaling. You have to ask the bus crews if that bus 919 is the one for visiting great wall of China. Once I have dropped off at Badaling, everything was easy. 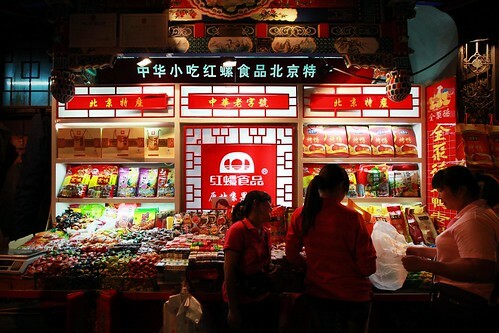 It has commercialized so much after the Olympic games in Beijing, so much that it was really crowded there with tourists. 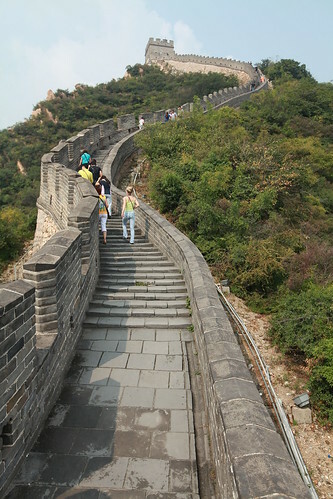 It was not easy at all walking round the Badaling great wall section as there are very steep slope that you have to hold yourself to railing as potential dangers are really there. 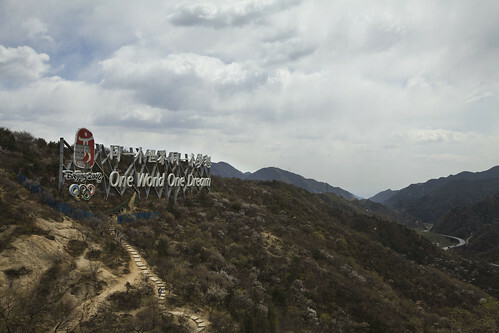 Upon starting the journey at the foot of Badaling, I saw really worn out huge sign representing Olympic theme that was in Beijing, “One World One Dream”. For this shot, I did exposure blending to blend the sky exposure to the foreground. You can see that there is no maintenance done at all. On the way round the section, I was eagerly looking out for any breathtaking view for my shot. But it was having heavy overcast that day. Perhaps it was still too early to have nice landscape shot. I did many clicks and I can only say there are quite a number of them are satisfying ones. The photo below shown was one of the many photos that I like a lot. 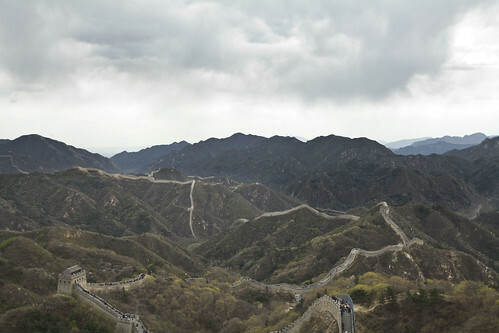 I like it for the wide view of the whole section of great wall lying over the outlines of the mountains. Beautiful view. 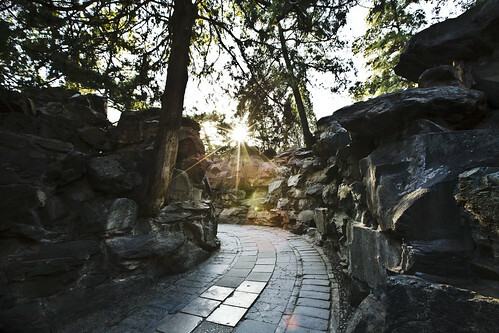 頤和園 which is the summer palace that you can find in Beijing as tourist attraction. The direct translation from Chinese to English will be Yíhé Yuán which literally means “Gardens of Nurtured Harmony”. When I first got there and started exploring the beautiful vast palace, I can feel that this palace has great tranquility. But you cannot find the serenity and calmness in Summer Palace anymore especially after it had became one of the many main tourist attractions. During my stroll there, people were everywhere, strolling, chatting with old friends, playing card games and many of them were tourists giving that place a visit. I have got my nostalgic feeling there as I remembered during my tour in Beijing when I was a kid, I was here before but it was totally different now. Well, of course, nothing last forever. So the photo that is shown below if one part of the many gardens they have there. I thought that it would be very dramatic to grab a shot directly against the sun to make it into a star. I also pushed up contrast and shadows for it.